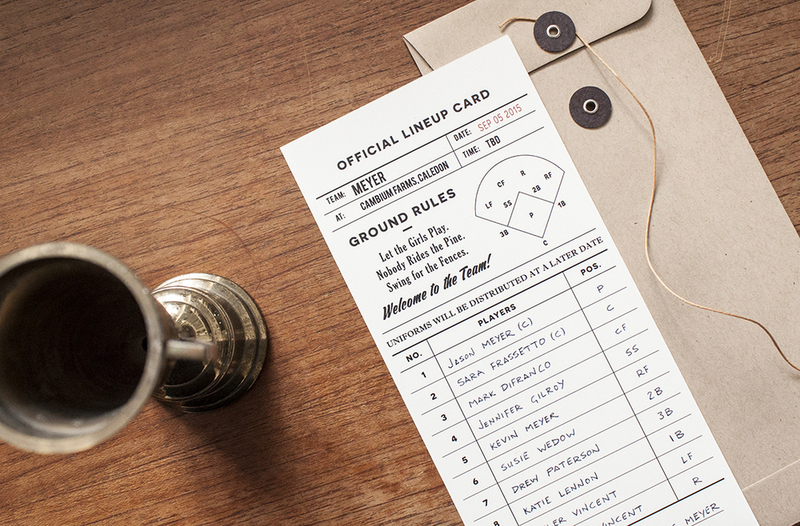 Welcome your wedding party to the team with these vintage baseball throwback invitations. Include some details about the upcoming wedding to get the ball rolling. The team will appreciate a sneak peek of who made the cut.